MDM-1 Fox is a two-seater version of the Polish acrobatic glider Swift S-1 designed for acrobatic training. Compared to Swift, the extended hull also has an enlarged span; as far as the allowed "gheece" is concerned, the solo limit is only "fous" lower (+ 9 / -6G vs. + 10 / -7.5G). 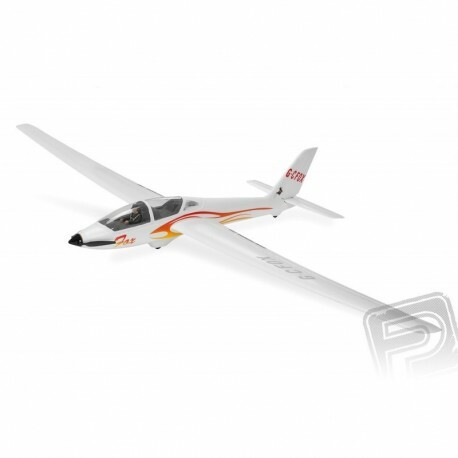 With Fox, the Czech national team is flying - and now you will be able to fly with the "electrified" semi-clutch in modernized design with buoyancy flaps and redesigned rudder control! Our FOX 2300 made of almost unbreakable extruded foamed polypropylene (EPP) shifts the limits of this technology. While hitherto common EPA half-masks with a range of about 1.5-2 meters or less, our FOX boasts a 2300 mm span! Big size, attractive looks, pleasing flight characteristics - just an ideal recreational model for anyone who has already managed the piloting of school models such as the Alpha 1500, Beta 1400 ... In addition to sound performance in thermo, FOX's main strength is the ability to reliably flank basic aerobatic turns; it will also delight you in flying on a slope under milder conditions - there is like home! The fuselage EPP model fuselage comes with a rotary casing (CD4108-KV900, power between AXI 2808 and AXI 2814), a tilting propeller, an alternating brushless regulator and rudder and elevator servos. In front of the fuselage under the large removable cover of the cabin there is a space for batteries and on-board electronics. For FOX you will need Li-poly three-cell batteries at least 1600 mAh with a 20C capacity, but "take" even bigger 3-cell batteries 1800-2600 mAh, with which the flight time is prolonged. The rudder is controlled by a serve stored in the keel. The horizontal tailpiece of EPP is removable for easy transport and storage - fastened to the hull with two screws. The wing is also made of foam EPP, two-part, slid from side to tube carbon joint." Ailerons and flaps are always controlled by two servos stored in the wing. Prior to attaching the rods, we recommend that the rudders "move" repeatedly with cautious upward and downward deflection, respectively. left and right. The landing gear consists of a one-axle chassis with a semi-recessed main wheel and a small sprocket. Ailerons, rudder, elevator and engine speed are controlled. To control the model, you will need at least a five-channel RC kit, such as CADET 4 + 1 or a new CADET 6 Pro 2.4GHz. In this case both wings and flaps are connected to a single channel via Y-cables (they are part of the kit). When connecting the receiver, refer to the instruction manual of your RC kit. 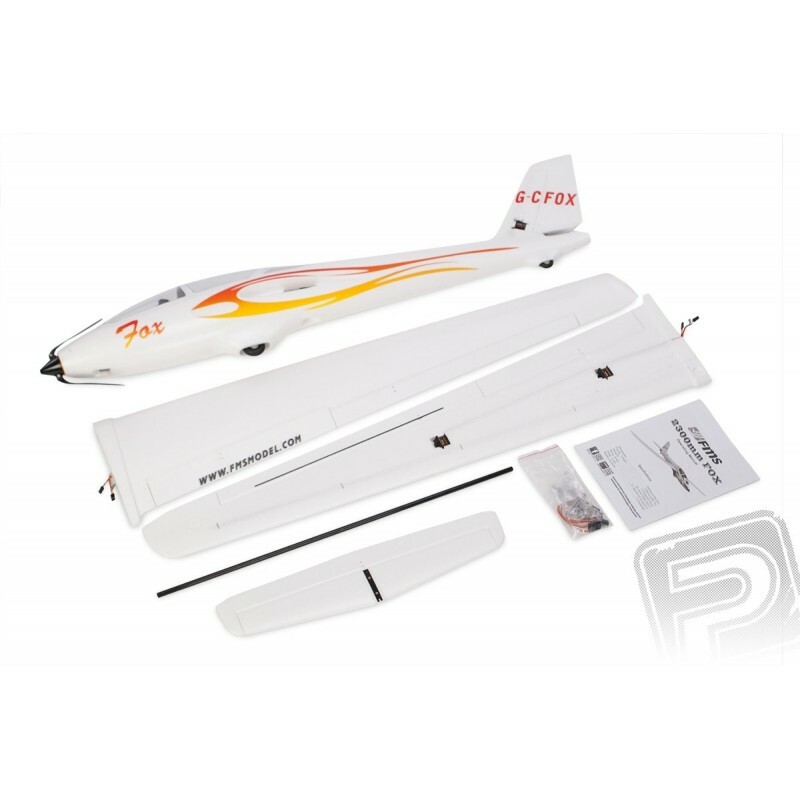 Ideal if you have at least a seven-channel computer RC kit that allows independent control of aileron and flap servos. In this case, you can set a differentiation of aileron deflections; we recommend 50% for the beginning - ie the downward aileron deflection is half as much as the displacement. In particular, for easy landing on a slope, it is preferable to mix the ailerons as aerodynamic brakes (pivot them upwards). 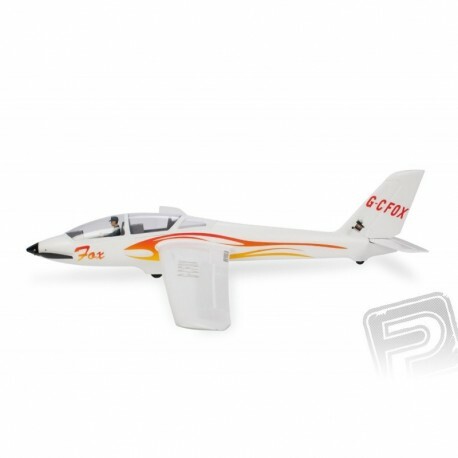 The FOX 2300 is designed for mildly advanced modellers who have already managed a pilot-controlled winged model. You will learn the correct coordinated control of the model with a rudder, ailerons and an elevator, and with set gaps you will be able to embark on the basics of acrobatics - twists, twists and turns, curves ... that will no longer be a problem for you! ARF kit includes: finished model with AC motor, speed controller and 6 servos, building instructions. Propeller * folding 12x6 " * folding 12x6 "